The new 3 Series Coupé. The re-branding exercise continues at BMW, as the ‘4’ follows the pattern of even-numbered BMW models focusing more on sportiness and dynamics than the odds. The 6 Series and X6 started the trend, and there are more to come, such as the i8. But for now, all the talk is about the 4 Series Coupé, which, according to BMW, is much more than just simply a change of name. Compared with the 3 Series saloon, the 4 Series sits 10mm closer to the floor and offers an improved chassis front and back. 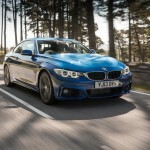 It has also been fitted with a front axle that is 60% stiffer than the one it replaces in the 3 Series Coupé. There will be three variants from launch – the petrol-powered 428i and 435i with 245 and 306bhp respectively, and a 184bhp diesel-powered 420d. 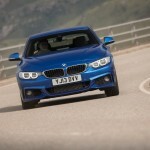 xDrive versions meanwhile, as well as more engine options up and down the range, will follow in due course. 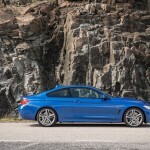 The 420d is expected to account for 36% of UK 4 Series sales, and buyers will benefit from further improvements made under the Germans’ EfficientDynamics initiative, with the introduction of air breathers and ‘aero curtains’ placed behind and ahead of the front wheel arches, respectively. The introduction of these components has helped cut CO2 emissions in the 420d from 125g to 124g/km in the manual, and 140 to 121g/km in the auto. An improvement on a tried and tested formula in this segment. Performance levels are up, while fuel consumption and CO2 emissions figures are down, which is always an impressive feat. The 420d might not have the same raw power as the 435i, but it does not disappoint on A-roads, with good body control and nicely weighted steering making for an enjoyable ride and handling combination. This from a chassis that was tuned on UK roads in December in order to get the right setup for a market that BMW believes will take 14% share of 4 Series sales. Automatic start-stop, which is standard across the board, is another plus point for the 4 Series, and one that helps the 420d return an average of more than 60mpg. The system in the BMW is instant and not intrusive when re-starting like some other mild hybrid setups. 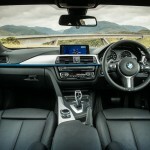 It might be a new model, but the 4 Series retains the familiar BMW interior and driver controls. An updated version of iDrive features clearer menus and makes it easier to switch between driving styles and alter car and driver settings. 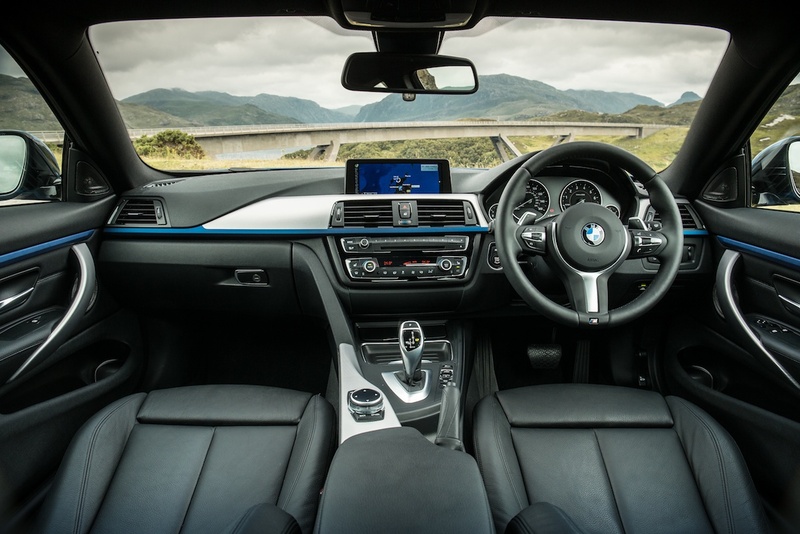 However, to try and distinguish itself from its predecessor, 4 Series features more high quality materials in the cabin, such as leather and high gloss on the dashboard. We’re not sure whether this adds anything to the element of sportiness, but it gives the car an added sense of premium quality. 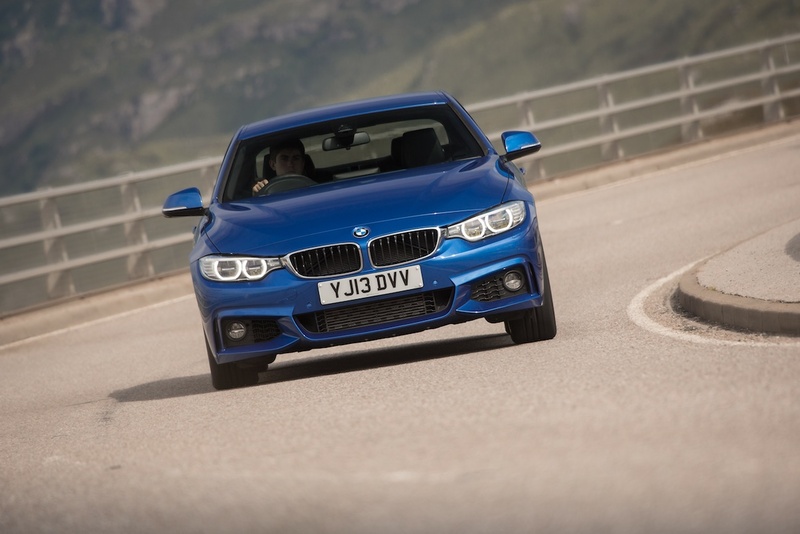 For those looking for a compact coupé, the 4 Series should tick a lot of boxes. 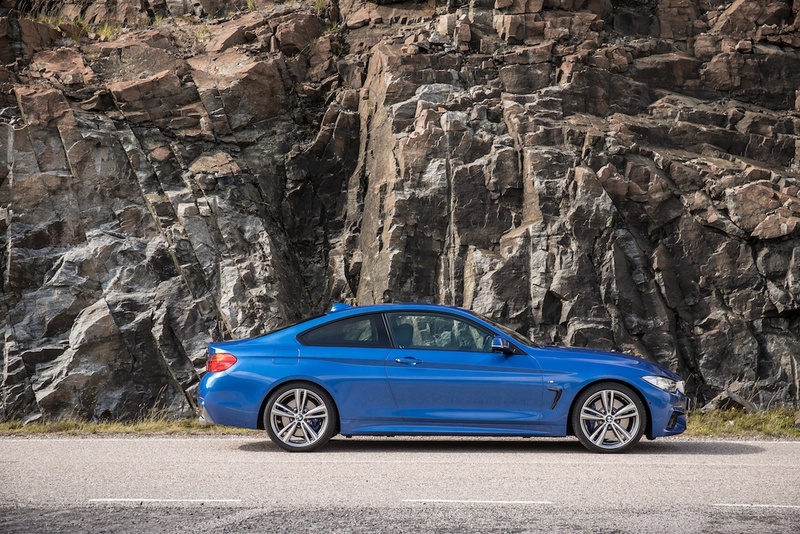 Intelligent positioning of this model should help attract existing 3 Series customers looking for a more dynamic driving experience, and should also catch the attention of those currently driving products from rival manufacturers. 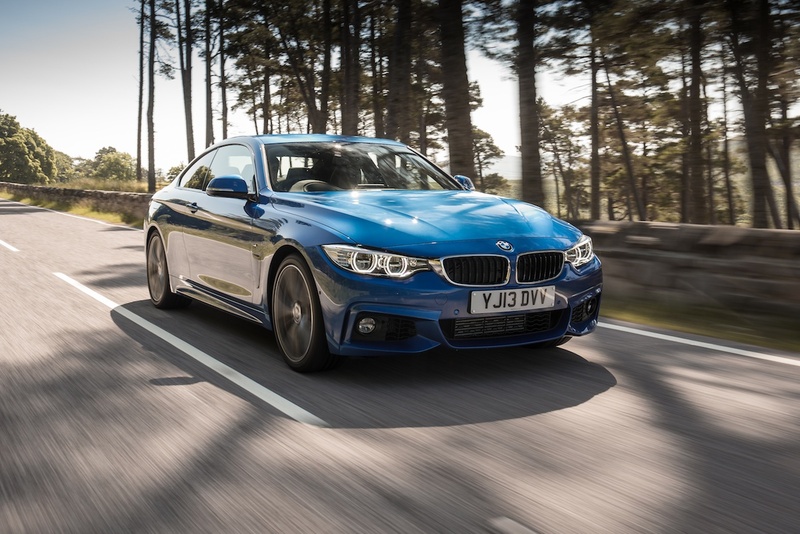 At home on the motorway and in town, the 4 Series offers a model for every kind of driver, but few could argue with the 420d’s mix of performance and economy. An impressive range of standard equipment, such as the upgraded iDrive unit and front and rear parking sensors. The limited amount of space in the rear. Even for a coupé, it’s a little cramped back there.